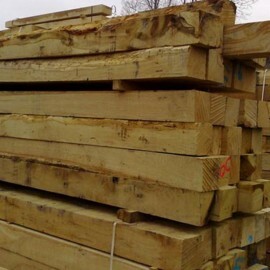 Our range of solid oak posts are milled from high quality solid fresh sawn European Oak, making them heavy duty and incredibly versatile for use in many internal and external applications. 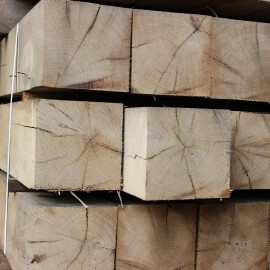 Mainly used for fencing and gate purposes, they can also be used for making rustic and contemporary oak furniture. Due to the moisture content of the oak, some surface checking, shrinkage and splits may occur during the natural drying process of the timber, making them perfect for projects where you require a rustic appearance. 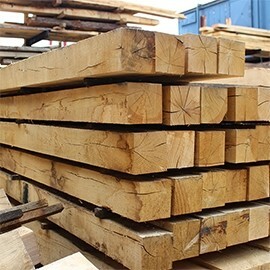 In addition to our oak posts, we offer a post machining service and a post weathering service in various finishes, as well as a planing service should you require a smoother finish for your posts. 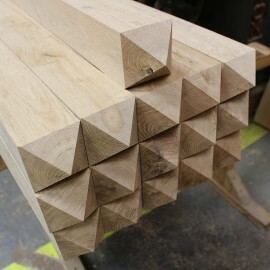 Please contact our Sales Team on 01536 267107 for details and prices for our planing service. Our Post Weathering service. Our Post Weathering service. Our Post Machining service. Our Post Machining service.